Pinoy Chicken Steak Recipe - Gutom Na! Posted on Friday, March 10th, 2017 at 6:13 pm. Marinate chicken in calamansi, soy sauce, garlic, salt and pepper. Refrigerate for 30 minutes. In a pan, fry onion rings in hot oil. Cook until onions are soft. Set aside. 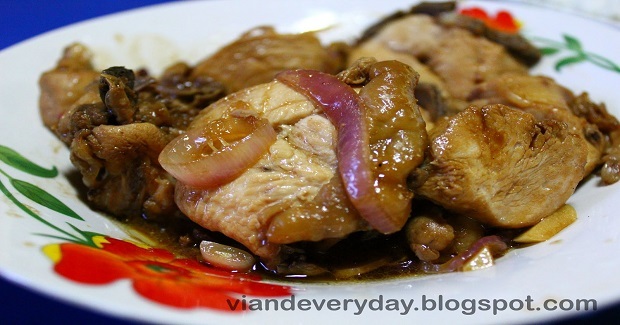 In the same pan, put the marinated chicken mix and cook until tender. Add onions and simmer for 3 minutes.